Our truck accident attorney at Simpson Law Group explains the laws that apply in a trucking case, particularly an inter-state rather than intra-state trucking case, are different. 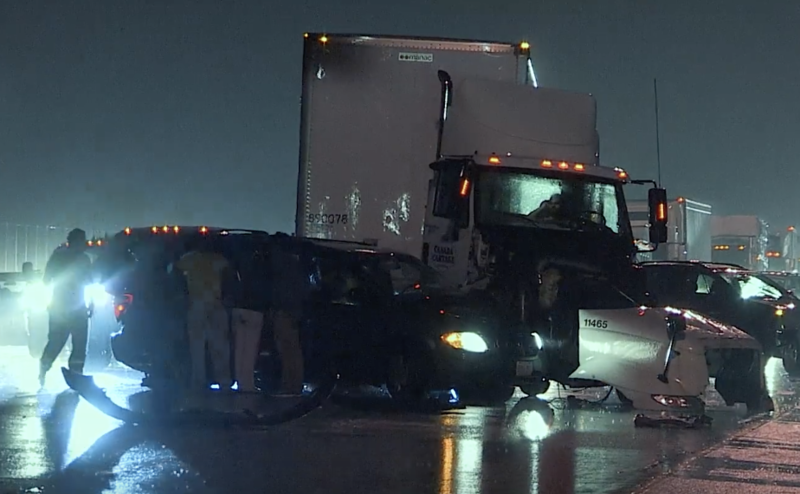 Home > In The News > What Laws in San Diego are Involved in a Truck Accident Case? What laws in San Diego are involved in a truck accident case? The laws that apply in a trucking case, particularly an inter-state rather than intra-state trucking case, are different. This is because they’re regulated by the Federal Motor Carrier Safety Regulations. It’s a thick book of laws that apply just to trucks that go across different state lines. Those laws involve a whole bunch of laws are different than standard laws for cars. This includes laws such as how you hire brokers and how you picked a tractor and trailer. Why would they be different laws? For example, sometimes, trucks and trailers are owned by different companies. After an accident occurs, the Federal Motor Carrier Safety Administration has another set of regulations for drivers returning to their jobs. This includes drug and alcohol testing, even if no one was injured in the accident. Officially, the FMCSA has a very dim view of accidents, saying that they aren’t acts of God and are avoidable. In fact, they don’t even call them accidents anymore– they call them “crashes”, “collisions”, or “injuries” in their official materials. Recently, the FMCSA cracked down on accident accountability. So, it’s more important than ever that you choose an personal injury attorney that knows trucking regulations and can get you the best results possible. An attorney with less specialized experience in trucking accidents might not have the knowledge they need to get you the best settlement. Consider the training that the truck driver went through. When you consider that, it’s a whole other body of work that’s different than car-crash cases. If you don’t do only trucking cases, you definitely need a specialized trucking cases. If you’ve been in an accident, contact us. At Simpson Law Group, we’ve experienced truck accident attorney in San Diego and nationwide. We can help you get the settlement you deserve.